The 2017 Dodge Journey is known for being the best in quite a few areas. From interior space and high-tech features to powertrain capabilities, the Dodge Journey has a lot to offer drivers no matter what kind of lifestyle they live. One of the greatest things about the Dodge Journey, though, is the great versatility that it can offer drivers. It really puts the utility into SUV, especially when it comes to towing potential. Find out what it can do before heading to Crestview Chrysler to experiment for yourself. While the interior of the 2017 Dodge Journey provides more than enough space to store your gear, the vehicle adds extra convenience by making it possible to also carry extra cargo in the form of towing. So, with the Journey you don’t only get the space of an SUV, but you get the towing potential you’d normally find on an entry-level pickup truck. The 2017 Dodge Journey couldn’t handle this extra storage capacity without its powerful engine configurations, which allow the vehicle to deliver its full potential in the towing department. The two powertrains for the Dodge Journey allow drivers to not only find the horsepower and torque levels that work for them, but also promises variety when it comes to towing potential. The first powertrain configuration consists of a 2.4L inline-four engine that delivers 173 hp and 166 lb-ft of torque, and tows up to 450 kg. This option works great for everyday drivers that may occasionally need the additional oomph to move more gear than the interior can hold. 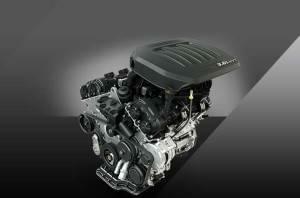 The second option is a 3.6L Pentastar V6 that generates 283 hp and 260 lb-ft of torque, and tows as much as 1,134 kg. This ramped-up option would be ideal for those who plan to use the vehicle on a more frequent basis to move camping or sporting equipment around. Regardless, with the 2017 Dodge Journey, you can rest assured that you’ll always have the versatility you need. The 2017 Dodge Journey can effortlessly combine everything that drivers love about SUVs with the strength of a pickup truck. With so much versatility, there’s no doubt in our minds that you’ll be able to find a 2017 Dodge Journey trim that will work for you. At Crestview Chrysler, we also have plenty of vehicles from which to choose that also offer excellent towing capacities, like the Jeep Grand Cherokee, Ram 3500, and the Dodge Durango. Before you visit us, be sure to explore 2019 Journey towing capacity!